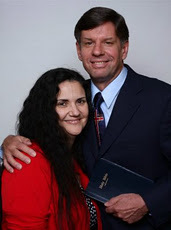 In the USA, students study from the books the Kleins have written; they are taught lessons by phone, by eLearning online, by emails, by phone texts and in person when possible. Dr. and Sister Klein have written over 20 books. These books are the textbooks used in this tutoring school. Where else are you taught by the actual author of the textbook? All of the books Dr. Klein writes thoroughly cover each topic. They are called by Jesus Bible teachers, Ephesians 4:11. Apostolic Theological Seminary and Bible College offers a Mater of Arts in Jewish Studies. Everyone can earn this degree. Learn more about Judaism from a genuine Jew. Sister Dana Klein is of Jewish decent on both sides. And, she is both Ashkenazim and Sephardi. Apostolic Theological Seminary is Pentecostal, Apostolic, Oneness, Jesus name, holiness, -- Repentance, Water baptism and the Holy Ghost baptism are required for salvation! Jesus Christ is our God! In the USA, seminarians study from the books we have written plus from books written by others; they are taught lessons from us by phone, by emails, by texts and in person when possible. Dr. and Sister Klein have written over 20 books. These books are the textbooks used in the correspondence school. Where else are you taught by the actual author of the textbook? All of the books Dr. Klein writes thoroughly cover each topic. Klein's should have a book table again this year. So, do you want me to write the Word of God for you? NO, you want only God's inspired Scriptures. You want only God's Word taught from the preserved Word of God. - Study guide sent by email or snail mail. Answers to be sent by return email or snail mail. The purpose of Apostolic Theological Seminary and Bible College is to teach and prepare the Church for its work in the world. There are many schools out there, so why choose us? It is our burden to equip the saints for the work of the ministry. One of the greatest things a God called man or woman needs to learn is Soul Winning techniques. It is a real disappointment to tour a Bible college to find soul winning experience among the staff and students doesn't exist or is very minimal. We believe in reaching the lost for Jesus Christ. We will teach you how to plant churches, win souls and establish people after first making sure you are established in the Word. You will be given opportunities to exercise your gifts and have confidence in your knowledge of the Word of God. The textbooks, courses and seminars are based on our calling as teachers, Ephesians 4:11. We believe a called by Jesus Bible teacher must teach as and only as the Holy Ghost leads. We have written as the Holy Spirit led fifteen Biblical books most of which are in outline form. Master of Ministry, Master of Missions, Master of Theology, Master of Divinity, and Doctor of Theology degrees are earned. The courses must be taken. We are not a diploma mill. Presently, Apostolic Theological Seminary and Bible College has schools in India, Nigeria, Ghana, Rwanda, Kenya, Uganda, the Philippines, Burma, Liberia, Cameroon, Sierra Leone, Pakistan, Togo, South Africa, Jamaica, Netherlands, Mexico, Viet Nam, Zambia, and growing (20 countries)! There are over 2,000 students in different countries being taught weekly!